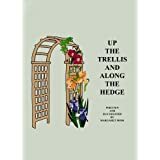 So, I posted how I published my Poetry eBook to Kindle. It is slightly daunting if you aren’t computer savvy, but once you work on it for a while, it gets easier. I suggest to watch the video KDP offers while you are working on formatting the book. The Table of Contents part can be confusing. That was the most confusing part for me. But after watching the video, I got it. The trick is to use the heading features in your word program. Use a heading which will not be in the table of contents. When someone downloads the book, they will see that as they scroll down. 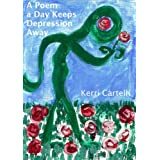 For my poetry book, I used Heading 1 for topics and Heading two for titles of poems. Then they tell you to save it as a web page, filter HTML. But, in 2007 and 2010 versions of work, the HTML option isn’t there. So, I saved it as the web page, filtered, went through it and fixed anything I saw that wasn’t right. Then I saved it again. They suggest that you insert the cover page into the document. Just upload the cover image when the option comes up and make sure to save it as a jpeg. I inserted the photo into the doc and when it came live, there was a wierd picture there but not the cover image. My cover image was a painting my daughter made and it fit the book perfectly. Then I used an online editor to add the text. Don’t go out and buy some fancy adobe photoshop, unless you want it, because it isn’t necessary. Luckily, you can go back in and re-upload the book. That is what I did a few minutes ago. Another thing is not to worry about fancy fonts and sizes. It all changes once it is live. Because buyers can download the book to kindle, kindle fire, kindle HD, Ipad and Iphone, it won’t be the pretty little book that you saw on your computer. Lasty, copyright the work prior to publishing. It’s easy. You can do it online at the Library of Congress website and it’s $35.00. I did it last night before I uploaded the book. Well, that’s my experience up to now and I hope it helps anyone who is consider it. I figured maybe I could make a few bucks on my poems and I have nothing to lose. This entry was posted in Uncategorized and tagged adobe, adobe photoshop, confusing, copyright, copyright online, cover image, dedication page, download, ebook, fancy fonts, formatting, formatting ebook, go play in traffic, heading features, insert cover image, ipad, iPhone, jpeg, KDP video, kerri cartelli, Kerri Phelan, kindle, Kindle ebook, kindle fire, kindle HD, library of congress online, microsoft word 2007, ms word 2010, newtown ct, newtown forever, nothing to lose, online photo editor, poetry, preface, publishing, publishing tips, table of contents, tips, title page, web page filtered, web page filtered html, write 2 survive, writing. Bookmark the permalink.